If you’re searching for Homes for Sale in Summerfield FL, you’re at the right place. Our website lists every Summerfield FL home for sale listed on the My Florida Multiple Listing System (MLS). Are you looking to buy a home in Summerfield? We can help you pick out the right home that suits both your priories and your budget; with over 30 years of experience in the field, we have developed a deep understanding of the Summerfield FL Real Estate, and thus we can ensure that you will never miss a listing that matches your criteria. We’ll help you get the house you want at the best possible price. With us on your side, you can rest assured that your buying experience is going to be as smooth and stress-free as possible. Call us now, let us help you find your perfect home. Selling a home can often be a daunting process, especially if you’re trying to close the sale fast; from setting the right price of the home to getting in touch with the right buyer, each step comes with challenges of its own. What’s more is that even a small mistake can cost you hundreds and sometimes thousands of dollars, that is why it is important that everything is done right. This is where we come in. With over 3 decades of experience, we understand the market trends and thus we can help you determine the best price for your home after careful consideration of all the factors. 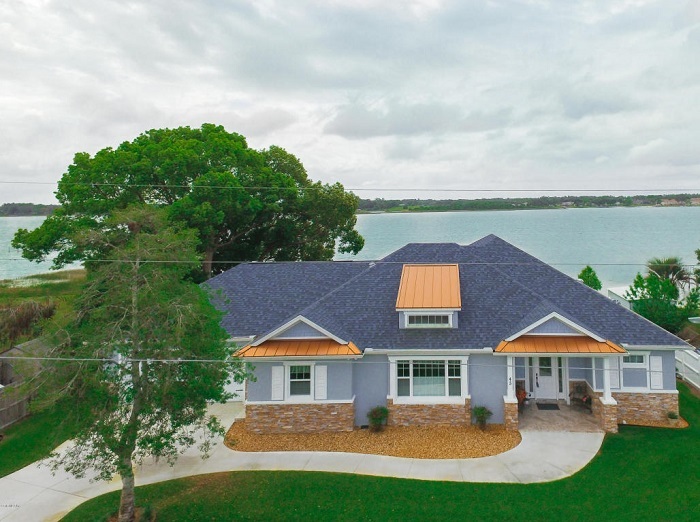 Moreover we can also expose your Summerfield FL home for sale to maximum number of buyers by using cutting edge tools and modern marketing technology such as blogs and social media. With us on your side, selling your Summerfield FL home won’t seem hard at all. We’ll help you close the sale fast, so you can move on with your plans without delay. Call us now to schedule a free consultation. Town of Summerfield is a small town in Marion County Florida. It is a part of the Ocala Metropolitan Statistical area. It covers two zip codes: 34491, 34492. Summerfield is located quite close to the villages, FL. It offers a relaxed, and peaceful atmosphere lifestyle that is conveniently close to all the amenities of Ocala and The villages. No matter where you live in Summerfield, you’re always minutes away from major restaurants, shopping malls, and entertainment offered in close vicinity. Summerfield also gives you easy access to a lot of outdoor activities. If you’re fond of fishing, you can drive to Ocklawaha River that is only 15 minutes away from town. You can also embark on hunting and camping adventures in the Ocala forest nearby, and if you’re looking for some local entertainment you can always head over to the silver springs park or Uncle Donald’s farm which are right around the corner. Despite its small size, Summerfield is surrounded by plenty of amenities and entertainment options to keep you busy. You can find many diverse options in the Homes for Sale in Summerfield FL suited to all kinds of budgets; If you’re a small family who’s looking for a cozy house on a budget you can opt for a small studio apartment for your family; on the other hand if you’re looking more something more spacious and luxurious, you can look at the 4-bedroom Summerfield homes for sale which will give you plenty of room to host your parties, or simply to see your grandkids chase each other around the house. As Summerfield is in Marion County so it features low taxes and low insurance and services. Overall the cost of living in the city is 7.40% lower than the national average. Moreover the real estate prices have also been rising year by year making Summerfield homes for sale a good investment that not only promises affordable housing, low cost of living, close vicinity to amenities, and a relaxed life style but it also promises capital gains as the property prices rise over time. Click here (hyperlink) to check out our listing for the homes for sale in Summerfield FL. If you see something you like feel free to call us or email us for more information and details. Our experts will help you find the best hotspots in the Summerfield real estate for sale that are suited to your budget. According to the stats released in 2014, Summerfield has a population of 27,256 and a population density of 632 people per square mile. The median age in Summerfield is 60.6. About 13.6% of the population are married, and approximately 9.64% are divorced. The average household size in town is 2.18 people. Around 14.42% of the townsfolk are married and have children, 6.57% are single parents. Along the same lines as other regions in the Ocala Metropolitan Statistical area, Summerfield enjoys mild winters and hot summers. January low is 46 degrees Fahrenheit and July high goes up to 92 degrees. On an average, the town receives around 233 sunny days. About 52 inches of rainfall is recorded in town annually, and it does not snow in Summerfield. The number of days having any measurable precipitation is 118. There are 10 hospitals within 30 miles of Summerfield FL. The nearest one being the villages’ regional hospital which is only at a distance of 5 miles from Summerfield. Some of the other top hospitals in the area include Munroe Regional Medical center, Ocala Regional Medical Center, Citrus Memorial Hospital and more. The hospitals in the vicinity of Summerfield are equipped with the latest medical technology and provide all kinds of medical services including emergency and acute care services. Most of the people in town drive their own cars to get around; being a small town, Summerfield does not have any mass transit services, however services of Uber and Lyft are available for those who do not have their own cars. New Homes for Sale in Summerfield FL– Are you looking to buy a pristine, newly constructed Summerfield FL home? We’re in touch with all the best builders in town. We’ll help you evaluate all the Summerfield new construction homes for sale and pick out one that suits you best. Feel free to call us anytime. Our team has been working in real estate for over 3 decades. We have in-depth understanding of the market which allows us to guide you intelligently. Whether you’re a buyer, a seller, or an investor, you can rest assured your real estate dealings are in good hands with us. Contact us now to schedule a free consultation. Let us use our Summerfield FL real estate expertise to help you find the right home. Visit us here to look at other homes in Ocala FL.